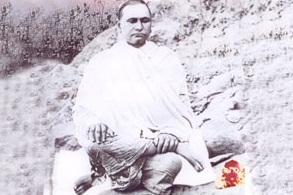 The fundamental object of the Dev Samaj is to promote a unique mission of founder Bhagwan DEVATMA i.e. propagation of truth, beauty and goodness in thought, speech and action among entire mankind. Bhagwan DEVATMA made women education and character building through education the chief planks of Dev Samaj’s contribution to social reform. Dev Samaj as an epitome of moral and spiritual life, discharges two folded functions for new society to conserve old values by affording new scientific foundation for them and to discover new aspects by a scientific study of the natural laws of health of human soul. It contributes to the emotional development of the society. Dev Samaj is a unique society and it believes in Deva Dharma. Deva Dharma is not only the unity, completeness and fulfilment of different religions, but also the future of religions. It helps a person in the ‘Know Thyself’ by enforcing him to see evil disposition of low loves and low hates and vikasa of altruistic or satwik feelings of love and service. Founded in 1887, The society of Dev Samaj (Registered under the society Registration Act, 1860) has been in the service of education since 1899 when it started its first school in Moga, Punjab. 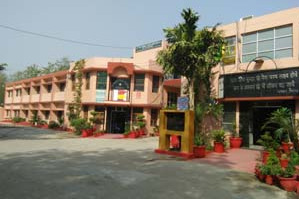 Dev Samaj Vidya Niketan Sr. Sec. School, New Colony, Gurugram, came into existence on 1st April, 1984 with the object of giving sound and liberal education during the most formative years of child's life. Open air activities are the unique features of the school. The aim of stoning the school is to form strong character among the students under the spiritual guidelines of Bhagwan Devatma, Founder of Dev Samaj. He made courageous step for the eradication of social vices. It encourages to root its quality education through wide range of facilities not only for physical and mental but also for the all round development of the student's personality. It does not want to keep the students lagging behind in any way in life. 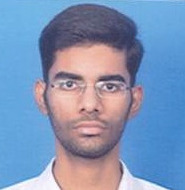 The economic help is provided by the school to the Economically Weaker Section students. The school is housed in two separate blocks i.e. Primary Wing and Senior Secondary Wing. The school is fully ventilated and well equipped with modern amenities. It provides healthy and harmonious environment for the development of the child. At present the school has a strength of over 1590 students, a strong workforce of 104 including supporting staff. The 32 glorious years of this institution are a saga of its commitment to provide quality education to the students. आशीर्वाद मांगते हैं, देव गुरु से, यूहीं विद्यालय को करें ये जीवन समर्पित ॥"
हर दिन खूबसूरत हो, मेरे विद्यालय के हर विद्यार्थी व शिक्षक का खुशियों से भरा पूरा जीवन हो ।"
Life in contemporary times is based on the survival of the fittest. Each passing day throws up new challenges. Success has acquired a new meaning, a new dimension. Parents are hard pressed to ensure success for their children. But we at Dev Samaj view education differently. Our system of education stresses more on personality development based on caring, sharing and understanding. 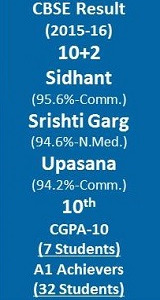 Our school is taking giant strides with each passing day bringing name, fame and recognition. We teach our children to be like the tree which keeps on bowling down further to the earth as it keeps on bearing more and more fruit. This is humility, which brings with it grace which is a cornerstone of our education. 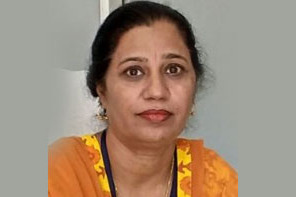 Year after year, the vision of our Manager Mrs. Sangeeta Sharma has beckoned us to move forward consistently and steadfastly. Its under her able guidance that we, at Dev Samaj endeavor to provide the students with education which imparts not just academic excellence but inculcates moral values, the ability to take decision and a responsibility towards society. We wish you all a very rewarding and successful experience at Dev Samaj Vidya Niketan Sr. Sec. School, Gurugram. The Great Temples of Learning like Dev Samaj Vidya Niketan Sr. Sec. School, Gurugram are not built in a day and blessed are those who build them. Here we remember Late Smt. Swadesh Sharma Ji and Late Sh. Hitabhilashi Sharma Ji for their strenuous efforts, encouragement, inspiration and guidance. Late Sh. Hitabhilashi Sharma Ji and Late Smt. Swadesh Sharma Ji dedicated themselves to the cause of education and pioneered to initiate exemplary institution where value based development of the children was their mission and vision. The school flourished under their guidance. They led a very pious and inspirational life that was marked by dedication and studded with high moral values. Late Smt. Swadesh Sharma Ji was impressed by the life and teachings of Bhagwan Devatma – the founder of Dev Samaj. Rather than pursuing a materialistic career she chose to follow the noble religious path and dedicated her whole life for Dev Samaj Mission. As a life worker of Dev Samaj, she imbibed the teachings of her master in her life and became a torch bearer in all the initiative taken by Dev Samaj. Late Sh. Hitabilashi Sharma Ji believed in simple living and worked throughout his life tirelessly. He was always on the move to serve Dev Samaj Vidya Niketan with the best of his capabilities. “Saintly people do not live for themselves, they live for others”, such was Shri. Hitabilashi Sharma Ji. People like them who have served the humanity in such quiet and humble manner need to be revered and remembered for what they did and the legacies they have left behind for us. Renowned person like Late Shriman L.D. 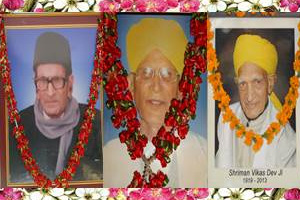 Gupta Ji, Late Shriman Kailash Chander Ji and Shriman Vikas Dev Ji are always remembered after their death. They are immortal for their deeds. They dedicated their lives in Dev Samaj and contributed much to Dev Samaj literature. We remember them with great admiration and continue to spread their message throughout the society. Congratulations !!! Devansh Shukla of Class - VII-B won Gold Medal in Sub Junior Boxing Boxing Title Haryana Championship organised by Haryana Boxing Association. 68th Republic Day was celebrated in the school premises on 26th January 2017. Admissions are open for Classes - UKG to 9th. Limited Seats are available for Classes - 5th, 6th and 7th.